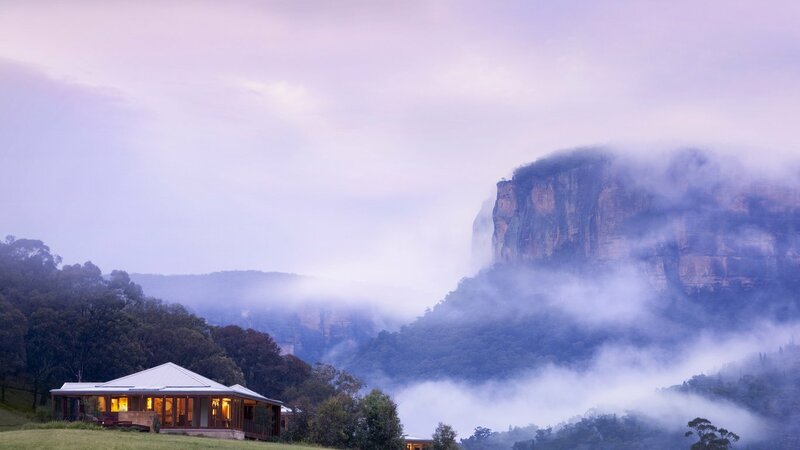 One lucky member will win the chance to enjoy a combination of ultra luxury accommodation, gourmet dining, and a quintessential wilderness experience at the Emirates One&Only Wolgan Valley resort in the Blue Mountains World Heritage Area. Return Tesla limousine transfers from Sydney CBD. The Promoter is Nationwide News Pty Ltd (ABN 98 008 438 828 of 2 Holt Street, Surry Hills, 2010 NSW Australia). Telephone number 02 8114 7850. Entry is open to all digital or digital-with-home bunded subscriber; complimentary digital trade subscription (non-renewing); group or corporate digital subscriber; over the age of 18. Except employees and immediate families of the Promoter Nationwide News Pty Ltd and their associated companies and agencies and participating outlets. Immediate family means any of the following: spouse, ex-spouse, defacto spouse, child or step child (whether natural or by adoption), parent, step parent, grandparent, step grandparent, uncle, aunt, niece, nephew, brother, sister, step brother, step sister or 1st cousin. The competition commences on November, 27, 2018 at 12:00am AEST and concludes on January 20, 2019 at 11:59pm AEST. Entries must be received by the Promoter prior to the competition close date and time. by logging onto https://theaustralianplus.com.au and registering their details including (but not limited to) full name, address, post code, telephone number, e-mail address,code-word / subscription number (if required) and answer in 25 words or less to the question “Why do you want to visit Wolgan Valley?” to complete their entry. The cost of accessing the promotional website will be dependent on the entrant’s individual Internet Service Provider. The most unique response will win. any literary, dramatic, musical or artistic work, any audio-visual or sound recording, or any other item in which copyright subsists, unless the entrant is entitled to do so. If an entrant has any doubts about whether they have the right to include any content (for example, recorded music) they must not include it. By including any such content in their entry, the entrant warrants that they have the permission of the relevant copyright owner to do so and that this permission allows the Promoter to use the entry in accordance with these terms and condtions. The winner will be the valid entry submitted in accordance with these terms and conditions that is judged by Nationwide News Pty Ltd to be the unique response at 2pm on January 25, 2019 at 2 Holt Street, Surry Hills, NSW 2010. The winner/s will be notified by telephone or email within two days of being determined. Winner/s of prizes will be published in https://theaustralianplus.com.au on January 31, 2019. Return Tesla limousine transfers from the Sydney CBD. Prize must be taken by January 29, 2019. In the event a winner does not take the prize by the time stipulated, then the entire prize will be forfeited by the winner and cash will not be awarded in lieu of the prize. If the winner/s is under the age of 18 as at the date on which the winner is determined, an adult must accompany the minor in the participation of the prize. The prize must be taken by 31 January, 2020 and is subject to hotel and flight availability. The prize is not available during peak times such as public holidays and school holidays (if applicable) and cannot be changed once the booking has been made. Air tickets are available on the regular scheduled services of each airline and are subject to seasonal embargos. Flight itinerary may have to be adjusted depending on the airlines departure city and their current flight schedule. Frequent Flyer points are not available from any airline. A credit card imprint or cash deposit may be required from the winner at check-in to the hotel, for all incidental charges. Once accommodation vouchers are issued they are non-changeable. Reservations are subject to availability and exclude major holiday periods, festive seasons and other black-out dates as determined by the resort. Gift Certificate is not transferable and cannot be exchanged for cash. Other terms and conditions may apply. Any additional charges must be settled prior to departure.